AIF, Le Verguier, France: a soldier’s well dug trench, often became his final place of rest; and to Australians, our most hallowed ground. 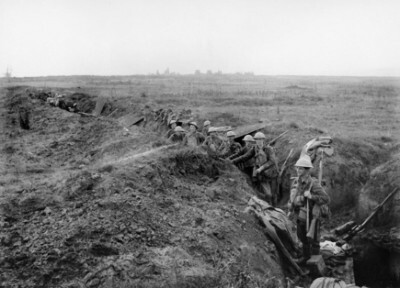 On this day, at the 11th hour, 99 years ago the guns fell silent all across the Western Front. Remembrance Day in Australia doesn’t just mark an outbreak of poppies in lapels, it marks the end of what was meant to be the War to end all Wars. STT’s grandfathers served with the AIF in Belgium and France, and were there when the Armistice took effect. One of them, who had won a Military Medal for conspicuous bravery and devotion to duty, described how every house and vehicle flew Allied flags and how the French went wild with delight, in Paris and all across France that day. The killing and bloodshed had stopped; battered, broken and bruised these boys were going home.